Purefecto: These boots are made for walking all over Jean Nouvel! These boots are made for walking all over Jean Nouvel! Jean Nouvel, the winner of 2008 Pritzker prize, not only does impressive architecture, but he also has his hands in designing lady's shoes. 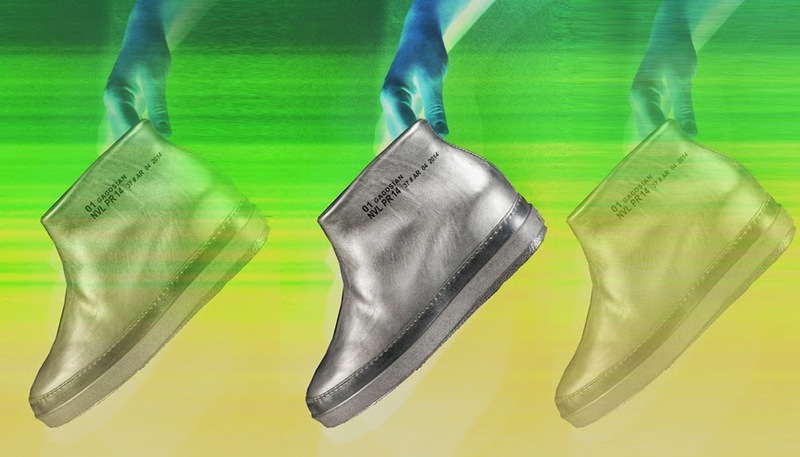 For $650, you can have a pair of these limited edition (100) shoes designed by a Pritzker prize winner. The shoes are futuristic looking in both color and design. I can see someone walking on the moon with these boots! Get it while supplies last.